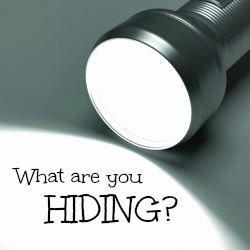 What’s MCVFD Leadership Trying to Hide? I was taken aback during Tuesday’s Council meeting when someone I thought would have understood the term, “limited government,” stood to accuse us of working in contradiction of this principle. He said, “I’m really disgusted with the fact that you campaigned that you were all about small government, and all I see is the most intrusive hands-on government I’ve ever seen.” The comment was in reference to our efforts to bring accountability to the fire department, a private contractor that is not just hired to provide a public service to our citizens, but a service that is provided under our city’s name, by requiring the MCVFD to adhere to certain standards, which includes a contract that actually includes terms & expected outcomes, which has never before been included. See FAST FACTS About the MCVFD Contract. Limiting government means curtailing the size, scope, and influence that government has on citizens while elevating standards, increasing accountability, and enhancing transparency on government, which includes entities that contract with the government. By our actions, we have continued to demonstrate our commitment to limit the size and scope of government, plus by a unanimous decision, the Council established a citizen-led audit review committee to increase transparency & bolster accountability of our city government. Last year we asked the Fire Chief, Robert Jones, and Lieutenant Herman Larkin, the MCVFD’s Treasurer, if they would agree to subject the organization (which is a 501(c)(4)) to a certified audit since funding to the fire department, is more than 25% of the City’s budget. Their hesitation at the time concerned cost and who would pay for it, which the City Council agreed to pay for and make it part of the City’s annual audit. They agreed, which is why this year’s budget includes a significant increase in professional auditing services to accommodate the MCVFD audit. However, two weeks ago, when the audit company (the same firm that the city has used for more than 8 years) could not get a response from the Mr. Jones or Mr. Larkin, Mayor Pro Tem Wayne Orchard stepped in and was told by Mr. Larkin that they are declining our audit and would seek out their own audit firm! So is it just a coincidence that the person who levied the accusations that are quoted above is the very same person that will not submit to our auditors? Transparent organizations run towards, not away from opportunities to prove their integrity, especially in instances like these, which cost them nothing and is conducted by a firm that was hired by a completely different city council (so any argument that hints at concern over political bias or nefarious intent would be completely devoid of integrity). More importantly, will they actually engage a reputable auditing firm or will they find someone with a CPA, maybe even a friend of the department, in lieu of a certified audit? Will they go back five years, after all this will be there first ever audit? Since our auditors finished up on Thursday, they’ve been here all week, by their choice the financial burden of an audit should fall on them or compensate the City for the added cost of bringing the audit firm back!